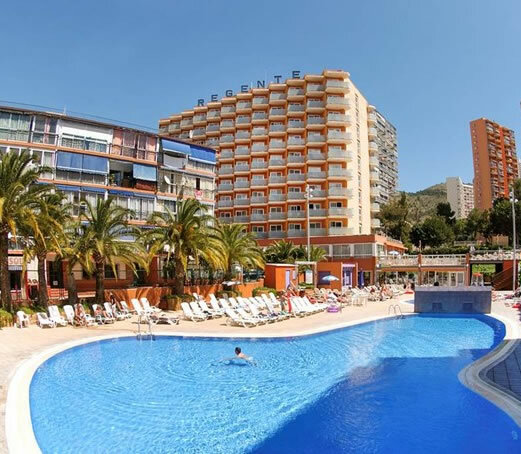 The 3 star Hotel Regente is a great choice for your stay in sunny Benidorm. It is centrally located just a few steps away from the lively resort centre with its restaurants, bars, shops and renowned night-life. The hotel is part of the Medplaya chain and offers a welcoming ambiance with bright, airy accommodation as well as a reputation for a high level of customer service. 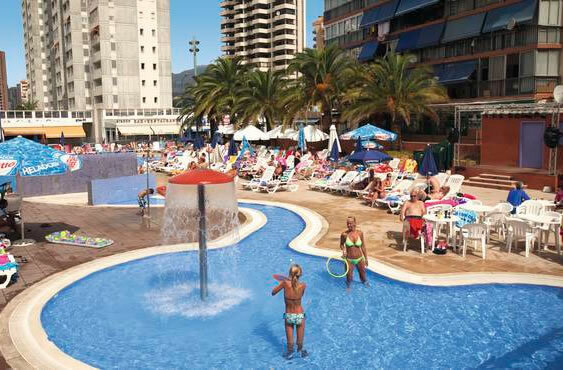 Active guests will enjoy the fun water-sports on offer from the nearby Levante Beach. Transfers by coach take around 1 hour 20 minutes to make the journey from Alicante airport. 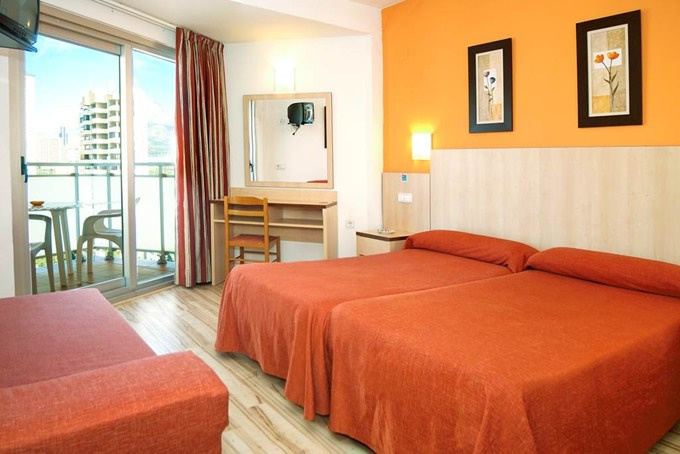 The Hotel Regente has 195 rooms comprising of twins, double rooms and 3 bedded, twin rooms can be booked for sole occupancy. The rooms were recently refurbished and are complete with a fully equipped bathroom, balcony or terrace, air conditioning (cooling and heating), direct dial telephone, Flat screen TV and optional safe deposit box.Check-in and out times are at 12.00 noon. 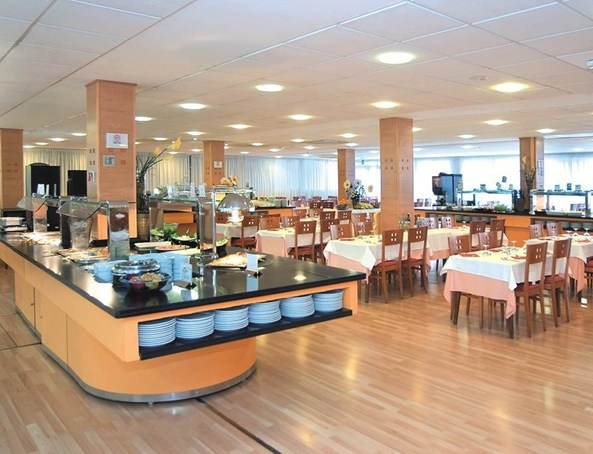 The Medplaya Regente hotel has a buffet service restaurant here the management provides a gala evening once per week. During the daytime guests can enjoy the poolside snack bar (summer only) and evening entertainment and cocktails are available in the Lounge bar. The hotel has a choice of board arrangements including all inclusive, this includes breakfast, lunch and dinner in the main buffet restaurant. Snacks are available at selected times in-between meals. Ice cream in the bars 10.00 – 18.30. Unlimited local beer, wine and spirits and non-alcoholic drinks for a minimum of 12 hours per day. The hotel has an outdoor swimming pool, children's pool, sun terrace with sun beds and parasols. The entertainment team provides a regular daytime and evening entertainment programme. The little ones will appreciate the children's playground there is also a television room, a pool table (payable locally) and a leisure Zone with Free Wi-Fi. The Hotel provides a range of facilities to provide you with everything for a great holiday including a 24 hour reception. 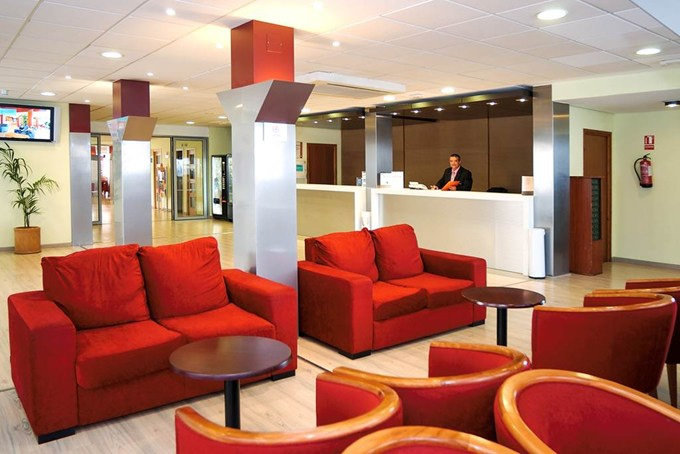 Free Wifi is available in the reception area, sale of newspapers, correspondence collection service, Fax service, Taxi service, car rental (if you are interested in car hire why not ask us for a quote before departure), currency exchange (8am to 11pm) and a TV room.